Better get it when you see it on the menu! This item is only featured on days when our chefs are feeling extra seafoody. 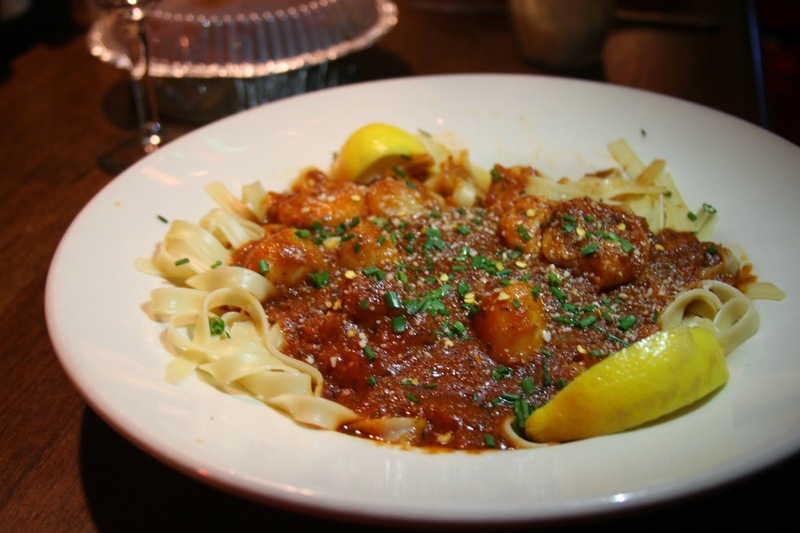 It features scallops and shrimp sauteed in olive oil and garlic, served in tomato sauce. I know. I knowwww.